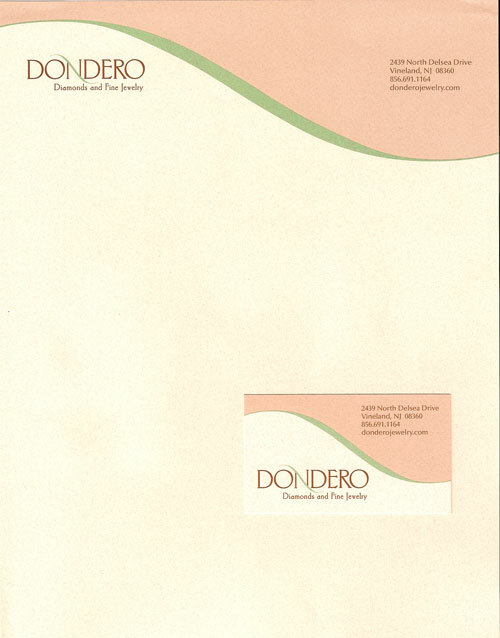 Dondero has been a recognizable retail business in Vineland NJ, for over 60 years. The stores inventory, represents all areas of fine jewelry and watches, and offers expert custom design and repair services. Design a logo to reflect sophistication and elegance keeping the existing brand name. Created an elegant effect with 1 color swosh. This element became a consistent and identifying element in other design projects.